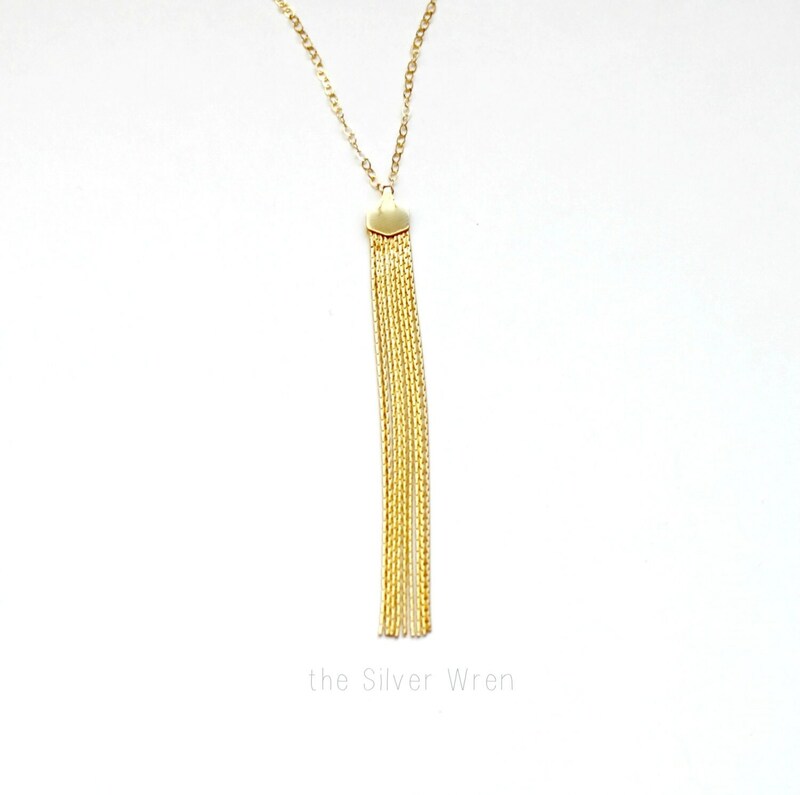 --Delicate 14kt gold filled tassel pendant approx 2 5/8 inches. 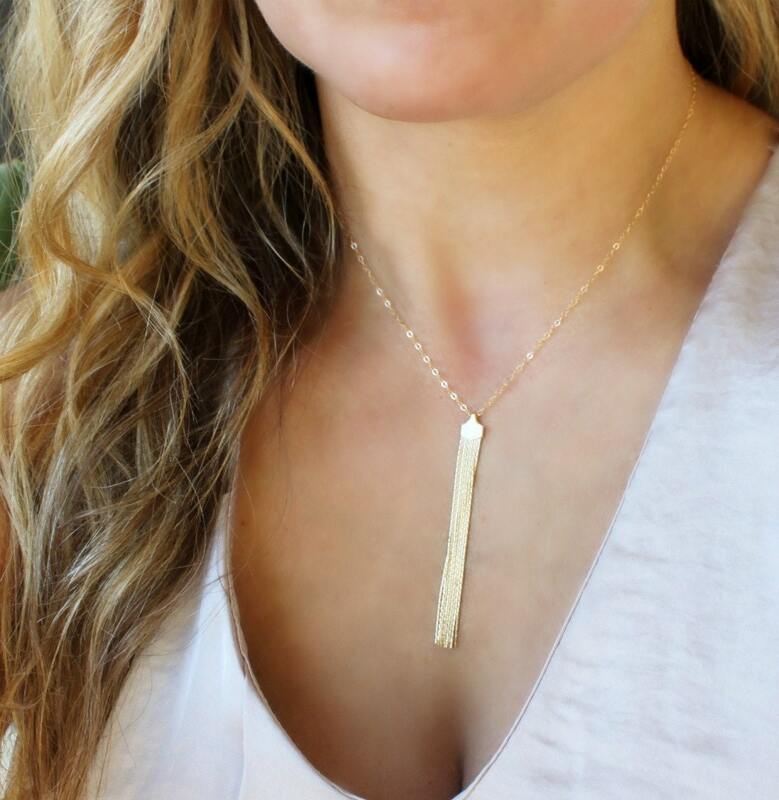 --14kt gold filled link necklace. - Pictured at 16 inches photo 3 and 18 inches photo 1. 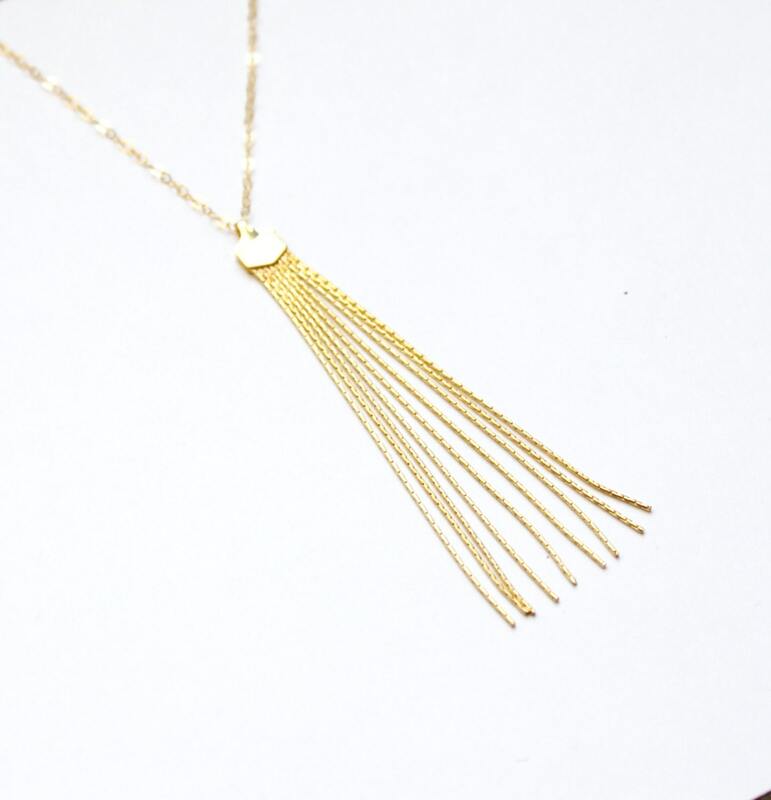 This necklace is perfect for your favorite tee or your LBD. Absolutely gorgeous!! Won't be layering this one, perfect just by itself! !